Director Robert Lemelson in attendance. Q&A after the film, moderated by Rebecca Peatow Nickels, the Executive Director of the Portland Women’s Crisis Line. 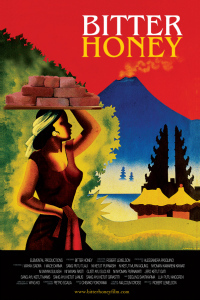 Bitter Honey is a feature-length documentary presenting an intimate and emotionally charged portrait of three polygamous families in Bali, Indonesia. Following these families over a four-year period, the film portrays the plight of the co-wives, for whom marriage is frequently characterized by psychological manipulation, infidelity, domestic violence, and economic hardship. Living in a society where men have authority in many domains, these women have little voice in steering or protesting the conditions of their domestic lives. Although polygamy is somewhat uncommon in Bali, the film draws attention to women’s issues, documents the work of those taking steps to better protect and empower them, and inspires a wider conversation about women’s rights in Indonesia.